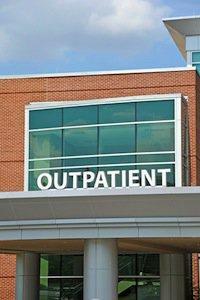 How Safe Are Outpatient Surgeries? According to statistics from the Centers for Disease Control (CDC), the number of outpatient surgeries went from approximately 11 million procedures in 1996 to 57.1 million procedures in 2006. Many of the surgical procedures that are now being done in doctors’ offices were once only performed in hospitals. However, along with the increase in outpatient surgeries comes the increased risk of surgical errors and other medical malpractice incidents. Much of the increase in outpatient surgery can be attributed to the difference in costs for insurance companies when a surgical procedure is done in a doctor’s office compared to the same procedure being performed in the hospital. That difference can be as much as 65 to 70 percent. Many insurance companies, and even Medicaid, will pay only a lower reimbursement fee for hospital-stay procedures, compared to a full-rate for office procedures. Other statistics from the CDC reveal that of those outpatient procedures performed in 2006, the majority of patients—20 million—were women. The most common procedure performed were endoscopies of either the large or small intestines. In 2006, there were 9.3 million outpatient endoscopies performed. Endoscopies are often done to examine the vocal cords, esophagus, stomach, or part of the small intestine in order to obtain a biopsy or for treatment. The safety of outpatient endoscopy, especially in elderly patients, has come under scrutiny recently, with the death of comedienne Joan Rivers who stopped breathing while having the procedure done as an outpatient. According to the American Society for Gastrointestinal Endoscopy (ASGE), complications from the procedure are not common; however, there are risks associated with it and include the perforation of the gastrointestinal tract lining. Some medical professionals have pointed out that the disadvantage of performing the surgery in an outpatient clinic is that the necessary medical equipment and medical expertise to resuscitate a patient should they go into respiratory or cardiac arrest is not available. If you suspect that you or someone in your family has been a victim of medical malpractice or surgical error in Connecticut, the most important first step is to seek the counsel of a malpractice attorney. Contact an experienced Westport medical malpractice attorney for a free initial consultation today.